Use a layer cake to create diamonds at an angle and turn them into a beautiful quilt filled with 42 blocks. The pattern is simple, but comes together beautifully. Krystal also include some fun suggestions for quilting patterns. 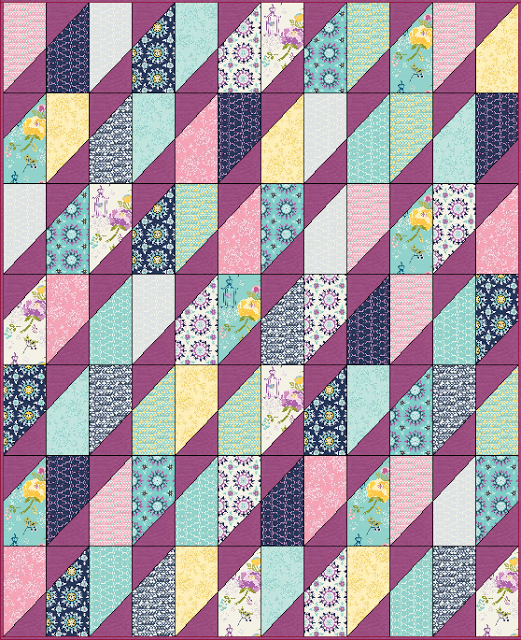 "Fabrics used in this quilt are from Riley Blake Lulabelle Collection. Please keep in mind that most Layer Cake bundles from Riley Blake are 20 - 21 counts. So you will need to buy two packs."